It is fantastic to see Platinum PADI Course Director Holly Macleod in the Gili Islands receiving multiple Awards for another year. Once again in 2016 she has secured the “Platinum” PADI Course Director Status and the “Elite 300” PADI Instructor Award. The Platinum rating is part of the annual PADI Frequent Trainer program, which is designed to recognize the most active PADI Course Directors worldwide and awards are given based on the number of candidates who choose to complete their Instructor training with a particular Course Director, plus how many candidates stay on to continue their education and how much support Course Directors can offer in terms of career development after the IDC. The Frequent Trainer program awards Silver, Gold and Platinum ratings. The Platinum award is the highest available within the Instructor Development system and recognizes Holly’s overall commitment to the PADI Education system and her pure experience in Instructor training and development. The Elite Instructor Award is a fairly new program that recognizes PADI Instructors for reaching specific milestones based on the number of divers certified annually. To be recognized as an Elite Instructor, you must be a renewed PADI Pro with a minimum rating of Open Water Scuba Instructor, with no verified Quality Management violations within 12 months of the date that the award will be presented, and issue 50, 100, 150, 200 or 300 qualifying certifications within a calendar year. As Holly issued nearly 500 certifications in 2015 she has been awarded the “Elite 300” PADI Instructor Award. The IDC program itself in the past has gained recognition for its educational and professional merits and Holly and the dive center have been awarded the PADI “Commitment to Instructor Development” Award. The course runs on an 11 day schedule with an additional 5 days of pre-IDC preparation. The pre IDC preparation workshops are designed to review the required Divemaster skills, knowledge and theory and prepare potential candidates for the Instructor Development Course. The Instructor Program itself includes a range of presentations, workshops and exercises that are designed to teach professional divers how to conduct PADI programs and courses. Of course the program includes all of the mandatory elements from the PADI IDC syllabus, but there are also many additional presentations and workshops which have been specifically designed by Holly to further educate professional divers and give them the knowledge, skills and confidence to go into the industry and provide a quality education to their future students. The entire PADI Instructor Development Course is conducted by Holly, who has been working within the diving industry for over a decade in a variety of dive related roles in various different diving locations and is perfectly placed and experienced to advise candidates about specific dive related job opportunities and what it’s like to work in particular diving locations. Holly has designed her program specifically to train candidates to a level way over and above that generally expected within the diving industry. It is always suggested that potential candidates do some research when choosing where to take their training and all of the latest news and updates from Holly’s program can be found on the PADI IDC Gili Indonesia Facebook page, as well as photos and videos showing past, present and future programs. For more specific information about the program including start dates, schedules and timetables check out the PADI IDC Indonesia Pro Brochure. 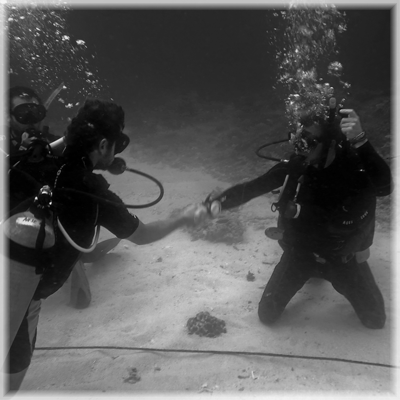 For further information, or to enroll on a course simply contact Platinum PADI Course Director directly……….